The situation in Pokémon Tower is grave indeed, but with the Silph Scope, you should be able to dig up whatever is causing all the trouble. You don't have to do anything special with the scope, but just make sure you have it with you when you enter the tower. The Silph Scope automatically identifies ghosts and makes it possible to engage them in combat. If you cleared out the tower earlier, skip to the bottom to finally identify the ghost that was blocking the way to the final floor and clear out the Rocket grunts. Without the Silph Scope, you can't identify the ghosts lurking in Pokémon Tower, and therefore you can't fight them. With the scope in hand, you can fight and try to capture these astral aggressors. Many special attacks don't affect Ghost-type Pokémon at all, so use caution in battle. You'll have better luck catching a Gastly or a Haunter if you use Great Balls instead of regular Poké Balls. With the Silph Scope in your hot little hands, it's time to head back to Pokémon Tower and figure out what the heck is going on. The quickest path is to go back to Route #7, hand the guard the tea from the lady in Celadon to end the baffling "Thirsty Guard" crisis, and then cut through Saffron City on your way East to Lavender Town. 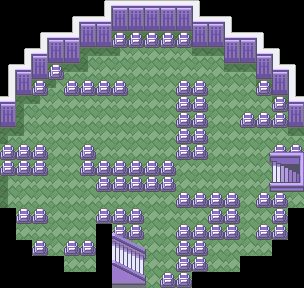 On your way through Saffron City, you might just want to stop in at the Poké Mart and grab a Max Repel. 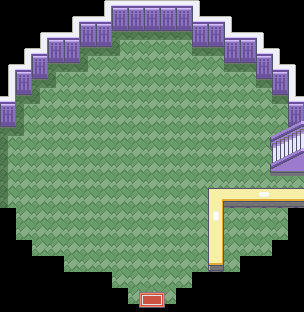 The Repel is for the Tower, where you'll be assaulted by Gastlies, Gastlies, an occasional Haunter, and more Gastlies, but if you plan to fight some Gastlies it might be best to use Pidgeotto. 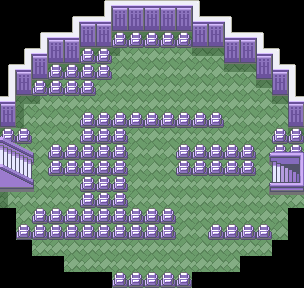 Gastly, and its evolutions, Haunter and Gengar, are the only Ghost Pokemon you'll meet, at least until you beat the Elite Four. Ghost Pokemon are immune to all Normal and Fighting attacks and are not affected by Ground attacks due to their Levitate ability. While Gastly and Haunter hold somewhat weak stats, its final evolution, Gengar, is quite powerful, with strong Speed and Special Atk stats, but may need some TM's to supplement its weak moveset. Be aware that evolving Gengar will require trading. As a final side note, if you plan to catch a Gastly, make sure it is level 15 or lower, otherwise it will be deprived of a powerful move, Hypnosis, and its ability to combo with Dream Eater. Cubone is a small Ground Pokemon with a lot of kick. It is somewhat rare to find here in the Tower, but catching it will be quite rewarding. Its moves, Bone Club, and Bonemerang, are strong Ground moves and are exclusive to this Pokemon and its evolution, Marowak. Cubone can learn quite a few TM's, and will make an excellent addition to your team, especially if you chose not to raise a Nidoking/Nidoqueen. Be aware, however, that its health is somewhat low, but it compensates for this with strong defenses, and not too shabby attack stats. When your rival gets in your way on the second floor, he'll pick a fight as usual. Depending on your starter Pokemon he may have an alternate lineup. You'll face the first lineup if you chose Charmander as your starter, the second lineup if you chose Squirtle, and the third lineup if you chose Bulbasaur. 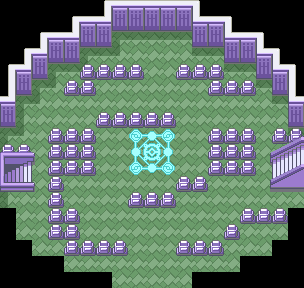 Pokémon with Psychic attacks like Kadabra and Drowzee, are really powerful here against these Ghosts, as they also have the Poison type. Farfetch'd is also a strong option because it is immune to all of Gastly's moves except Curse. But those are few and far between, so if you don't want to deal with lots of random encounters, just pop open the Max Repel... After you catch a Gastly for yourself. Addition: If you have Pokemon with Ghost or Dark type moves (such as Bite), they work pretty well against the Ghosts as well. After catching your own Ghost type here, you can train it up a little and use it to wipe out the ghosts. The leader of the Channelers has broken free of the dark power that held her, and created a reusable healing zone on the 5th floor. Make sure you heal and save while you have the opportunity, since there are a number of surprises ahead. The first surprise is at the stairway to the top floor, where the Ghost that you needed the Silph Scope for finally reveals itself as a level 30 Marowak. Make sure you have some strong, non-Psychic Pokémon for this fight! Unfortunately, you can't catch it, even with a Masterball, as it dodges the ball every time. More non-Gastly foes await on the top floor. There are three rocket grunts up here. After you've bested those foes, you'll find the missing Mr. Fuji. He'll thank you for your efforts with a gift of a Poké Flute, which you can use to awaken any sleeping Pokémon, and which finally makes that Rest skill useful. You can also use it to wake up that sleeping Snorlax that was blocking the passage between Route #11 outside of Vermilion City and Route #12 south of Lavender Town. But first, let's pay a visit to Saffron City. As a side note, make sure to come back and use the Itemfinder in the same place where Mr. Fuji stood. You'll get a Soothe Bell for your troubles!!! Big Mushroom (hidden): above and to the left of the northernmost Channeler on the fifth floor. This page was last edited on 20 May 2018, at 08:51. This page has been accessed 748,599 times.